In many occasions specialized printers for industrial machinery are required. In Fenix ​​Imvico, we work so that this type of necessary printers can reach our customers in a wide range of variety to cover any need. The reasons why industrial machinery needs panel-mount printers are so many. For example, they print performance and result reports, they are used for verification of machinery maintenance tasks, they print graphics and barcodes in production traceability tasks, among other options. For all these reasons it is required a resistance and robust panel printing equipment, in addition to having a high printing speed, since they can work in outdoor environments and with more environmental aggressiveness than other types of printers. EPC 1800 – Thermal panel-mount printer. Being the result of more than 23 years of experience in the development and manufacture of panel-mount printers, the 4th generation arrives. Its design is ultra small and easy to integrate, making this useful printer the perfect solution if you look for a competitive solution in price and performance. 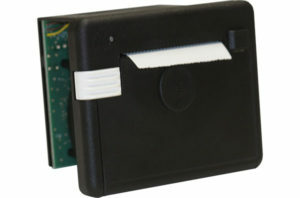 EPC 1200 – Thermal panel-mount printer. With similar features to the previous model, it combines the panel printer structure with system integration. In addition, it’s high printing speed together with its low price, place it as one of the most competitive panel printer in the market. 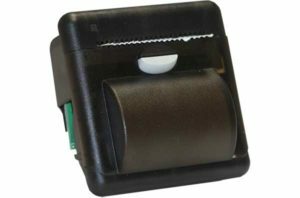 PN10 – Impact panel-mount printer. 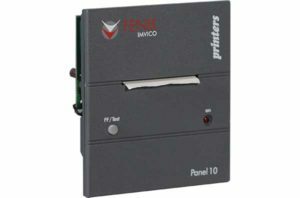 The PANEL10 family of impact panel printers is featured by low cost, a compact and lightweight design with the possibility of printing graphics, and real time clock/calendar. It is fitted mainly in aggressive environments and its easy handling and installation make it one of the main impact panel printers in the market. 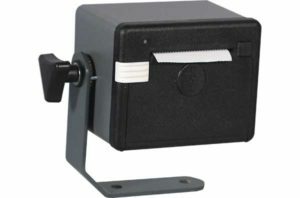 PTR2 – Thermal boxed printer. It is featured by low cost and high performance. It is ideal for the automotive sector, where robustness is essential. It offers an innovative, compact and functional design. Fenix ​​Imvico produces and distributes the widest range of printing mechanisms and receipt printers, always offering our customers the best products adapted to each single need. If you need further information or have any questions about our products, do not hesitate to contact us.